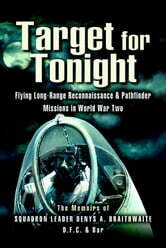 A pilot's memoirs of flying long-range reconnaissance and Pathfinder missions in World War II. The author was born of a well-to-do Yorkshire family and joined the Auxiliary Air Force on his eighteenth birthday in 1939. On the occasion of Chamberlain's speech to the British nation on September 3 the situation changed dramatically and from being a 'super weekend club', his squadron was assigned coastal patrol duties. In October he was posted to Peterborough to learn to fly with the regular RAF. There followed a period of convoy protection flying Blenheims and then flying with the meteorological flight based at Bircham Newington on the Norfolk coast. Here he flew a Gloster Gladiator with a flight that had the reputation of 'flying even when the birds wouldn't'. Now a Squadron Leader, Braithwaite became acquainted with the legendary de Havilland Mosquito and flew long-range weather reconnaissance flights (PAMPA) under the control of Coastal Command. These patrols involved a lone aircraft flying deep into enemy territory to observe the meteorological conditions in advance of bombing raids or naval action. PAMPA Flight 1409 moved to Oakington and transferred to Bomber Command and operated under the command of Air Commodore Donald Bennett and became one of the elite Pathfinder units. 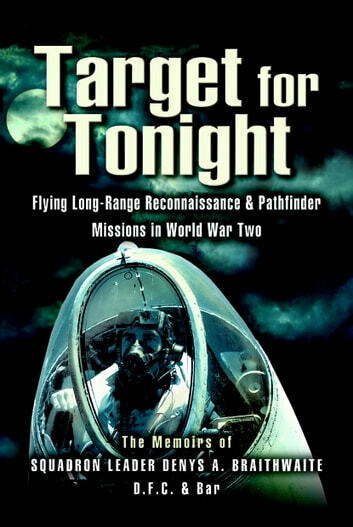 His lengthy and successful tour included many exciting episodes until after a blazing row with Bennett concerning his unit's use of above regulatory flight speed to the target and the removal of the aircraft's ice guards, Braithwaite found himself moved to Training command. There then followed a tour to the USA where he was the victim of a nearly fatal crash due to his aircraft being the victim of sabotage. The author was now posted to India to take command of a Mosquito squadron operating against the Japanese over the jungle beyond its Eastern border. His flying career was abruptly ended in 1944 when he contracted the violent tropical disease Sprue and he was repatriated to England.